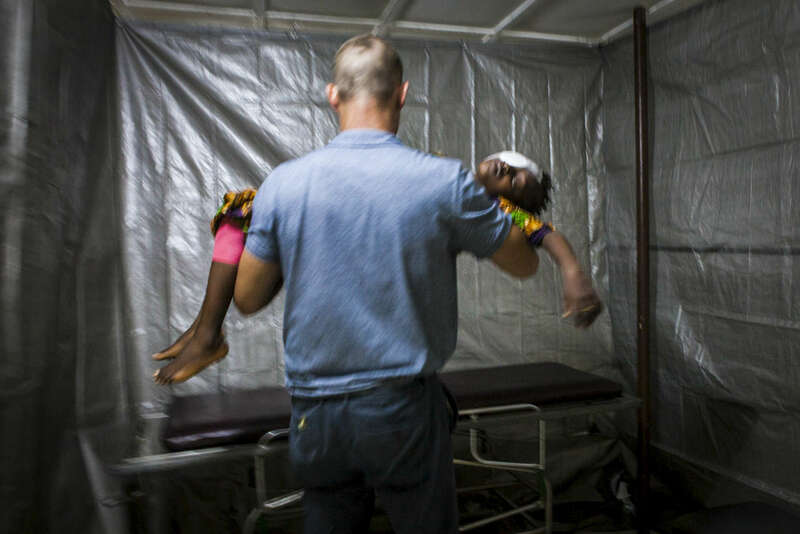 Dr. Ian Crozier carries a sedated Aminata Conteh after her cataract surgery in a makeshift operating room at the Kissy United Methodist Church Eye Hospital in Freetown, Sierra Leone. Dr. Ian Crozier became ill while volunteering for the World Health Organization during the Ebola outbreak in West Africa. Months after recovering from the virus in the United States, Dr. Crozier began to experience intense pain and fading eye sight. After testing doctors found that the Ebola virus still remained in his eye despite testing negative in his blood.